At the moment I am writing a talk about the Rian Bó Phádraig an ancient road connecting , Co. Tipperary to Kilwatermoy in the county of Co Waterford . 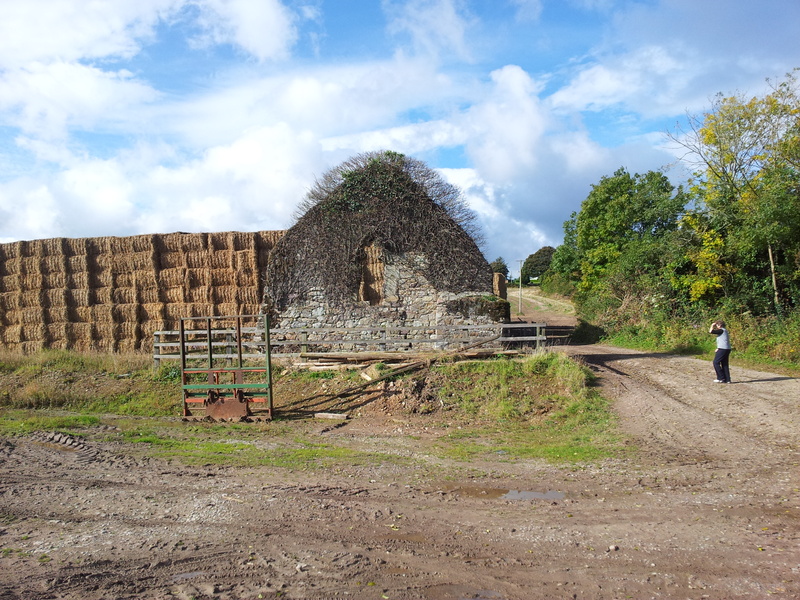 Last weekend I was out walking along part of the Waterford route. 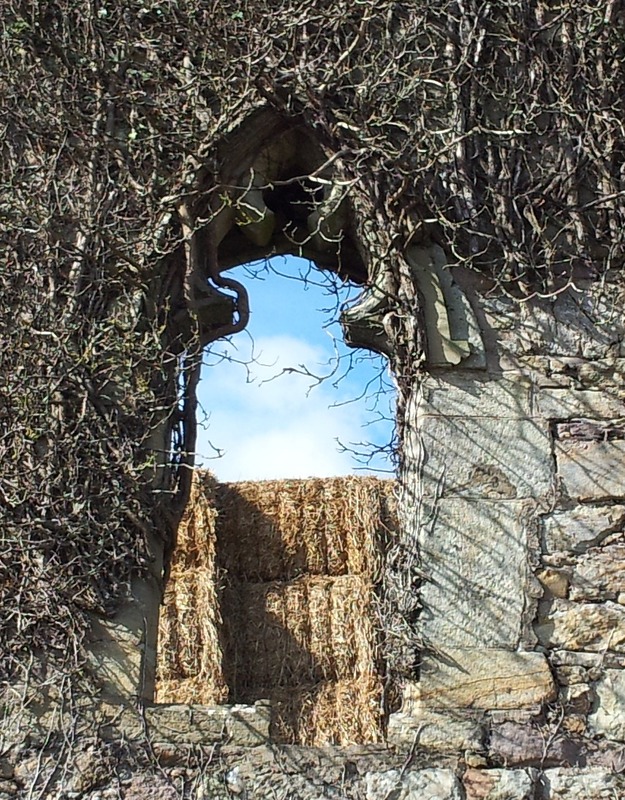 I also managed to dropped by one of my favourite sites, the ruins of a medieval Church in the townland of Okyle. The name Okyle or Ógchoill translates as “Young Wood” ( http://www.logainm.ie/50107.aspx). 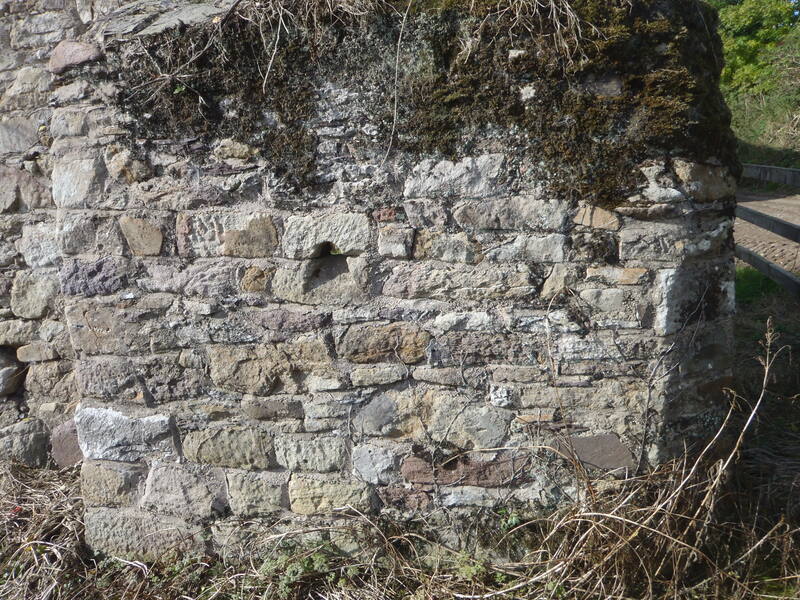 The only surviving wall of Okyle church. The townland is located in the ancient parish of Lismore and Mocollop. I have not been able to find a saint associated with the site. At present all that remains of the church is the east gable. According to the information plaque at the site, this church functioned as a chapel-of-Ease for Mocollop parish. A chapel of ease, was a church building other than the parish church, built within the bounds of a parish for the attendance of those who could not reach the parish church conveniently. The surviving east gable has a lovely 15th-century, twin-light tracery window. A small cell is attached to the north end of the gable. The cell most likely functioned as an anchorite cell and is one of the very few examples found in Ireland. The cell was entered from inside the church through a small doorway with a flat lintel. The roof of the cell is slightly corbelled. The cell is sub-oval in shape. It is very curious that there are three gun loops in the walls. Power in 1898, recorded that the cell was known locally as Tigh Chloiche or the stone house. Only its east gable and thirty feet of the length of the north wall remain. It was twenty one feet in breadth, but its length cannot be ascertained as no part of the west gable is traceable. The east window is formed of cuts and stone and pointed on both sides; it measures on the inside nine feet seven inches in height and five feet four inches in width and on the outside, where it was divided into two lights by a stone mullion, seven feet three inches by two feet nine inches, each division (light) one foot two and a half inches. 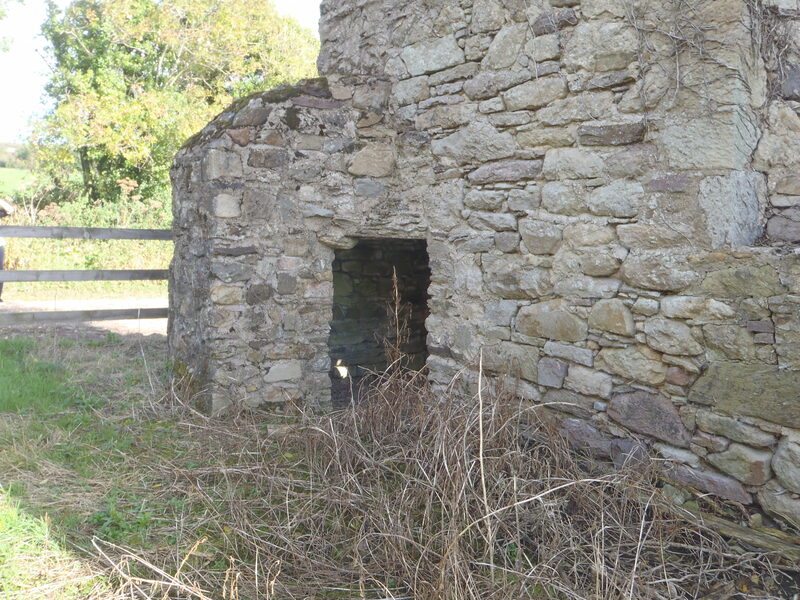 In the north-east angle is a small apartment, apparently a hermit’s cell or Duirtheach…There was a window in the north wall of this Church at the distance of four feet from the east gable; it was formed of cut stone and was two feet six inches wide in the inside but it is destroyed at top and on the outside. 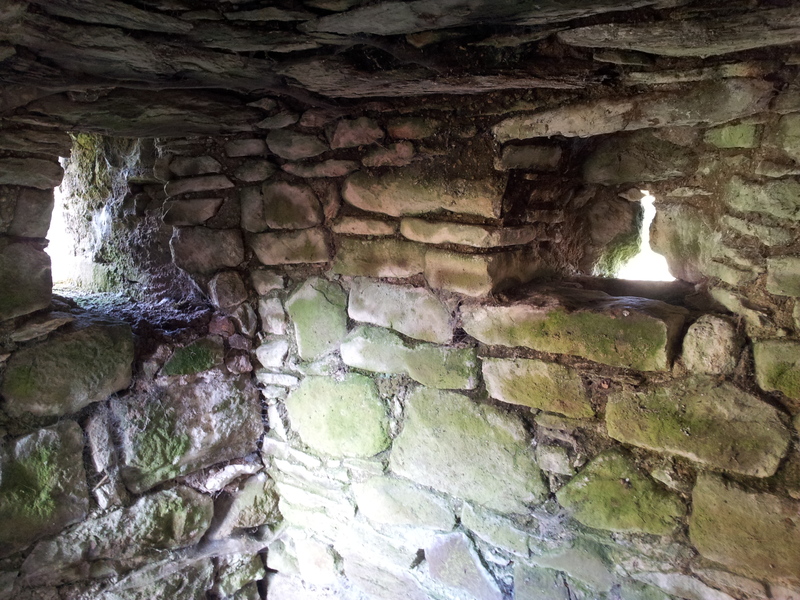 The north wall is nine feet high, three feet four inches thick and built of pebble stones of all shapes, kinds and sizes laid in irregular courses in a very rude style; it nods a good deal from the perpendicular, the foundation having given way…(O’Flanagan 1929, 144-145). The third ed. 6-inch map 1927 records a holy well called Tobar an Turais – the well of the pilgrimage c. 700m to the SW of the church (Power 1898, 218). The Waterford Inventory recorded that it is not visible at ground level . In 1900’s Power notes its presence in the book the Placenames of the Decies but noted that ‘it was not much visted now’. I think this is a site I will have to look into further. 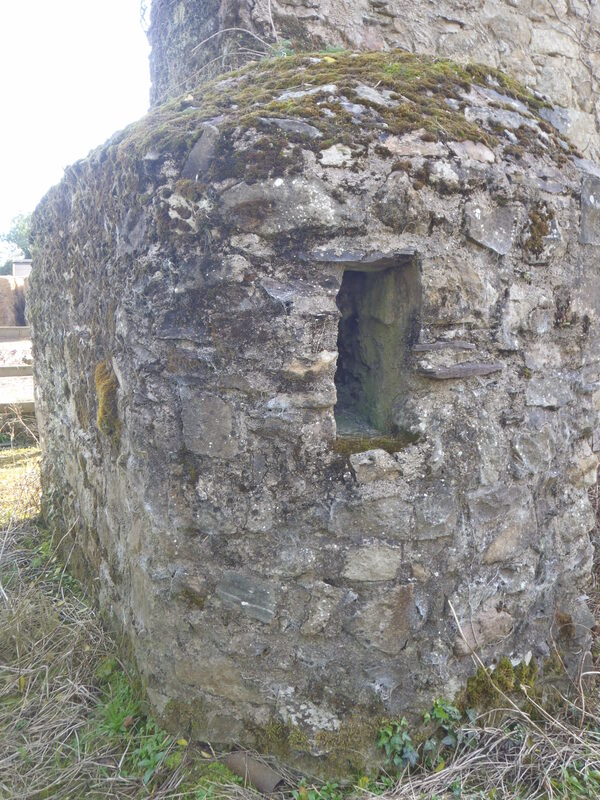 This entry was posted in Holy Well, Medieval Church, Medieval Monastic Site and tagged Anchorite cell, chapel of ease, medieval church, Okyle Church, Tober an Turais. Fascinating! Well done! Any connection with Eo choill ? Thanks for your kind comments, glad you enjoyed it. As far as I know know the Irish for Okyle is Ógchoill translates as “Young Wood”. The irish for youghal is Eo chaill/choill which means yew wood. I think there is a graveyard on the hill beyond the church, called the religeen . Is it possible there is some connection with diseases ? The disease element is suggested by the architecture , possibly communion was distributed through the little openings. Hello Louise = Thanks for the interesting and helpful article on Okyle church. Here is another article on Okyle church and district.